A country as fascinating and spectacular as Cambodia deserves this in-depth itinerary. See the Irrawaddy dolphins. Explore the Royal Palace in the capital, Phnom Penh. At Siem Reap, marvel at the complex of ancient temples at Angkor Wat. 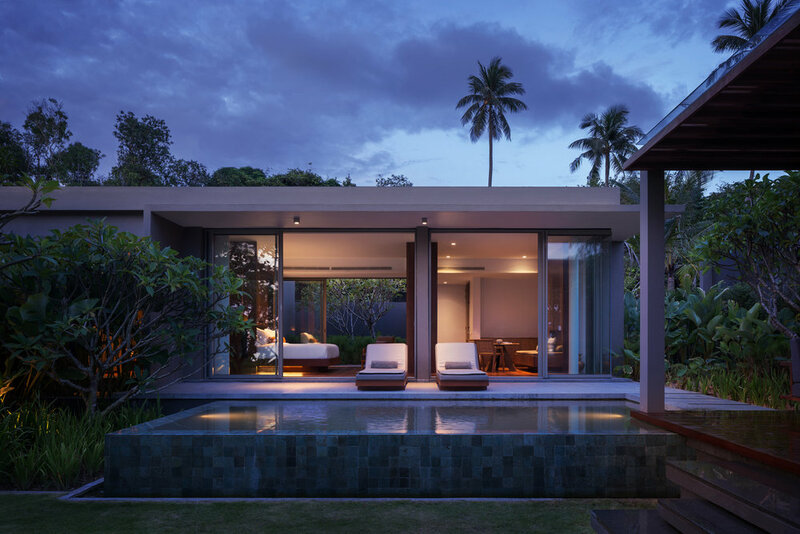 This itinerary concludes with three relaxing nights at an island resort. There is no better way to experience the wonder and beauty of Cambodia than with this in depth tour. Upon arrival at the Cambodian-Laos border, you will be met and greeted by the IdeaIndochina representative and transferred to your hotel at Kratie Province for check in. Arrive in Kratie and take the ferry to Koh Trong Island, an ecotourism site supported by the European Union. Enjoy you breakfast. Today you’ll witness the unique world of the Irrawaddy dolphins. Around sixty-five dolphins live in this area and can usually be seen in the morning and late afternoon. Visit the 100 pillars Buddhist pagoda, which is over a hundred years old. Stop and see sticky rice cooked in bamboo, a means for many people to supplement their living. Continue to Phnom Penh. Stop on the way at Skun Village, the unique place where fried tarantulas are prepared. Today, you will explore the capital city that serves as a heart and business centre for the Kingdom of Cambodia. You will visit The Royal Palace, the Silver Pagoda or Temple of Emerald Buddha, the National Museum, the Toul Sleng Museum and the Central Market. Enjoy your breakfast. Today you will be met and transferred to board your flight to Siem Reap. Welcome to the capital of Siem Reap Province. Siem Reap serves as Cambodia‘s hip epicentre, filled with an impressive array of colonial and Chinese-style architecture, not to mention a gateway to the magnificent temples of Angkor. Siem Reap town features notable boutiques, multicultural dining, enriching museums and relaxation-ready spas, though its most revered site is iconic Angkor Wat situated in the heart of a UNESCO World Heritage Site. Upon arrival at Siem Reap Domestic Airport, you will be met and greeted by your experienced guide and transferred to your hotel for check in. Visit South Gate of Angkor Thom, Bayon, Baphoun, the Royal Palace, Terrace of Elephant and Terrace of Leper King. 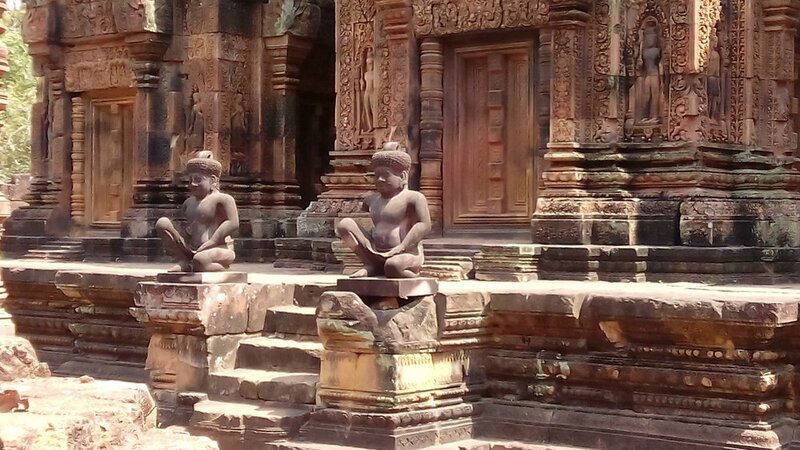 After lunch, continue to explore Banteay Srei and the temple of Banteay Samre. Early in the morning, you will be met and greeted by your IdeaIndochina representative in your hotel lobby to witness the sunrise over Angkor Wat. Watch the sunrise over the main temple of Angkor Wat - an unforgettable and quintessential Southeast Asia experience. After returning to your hotel for breakfast, go on to see the fascinating Ta Prohm Temple, which for the many is the most romantic experience of Angkor. In the late afternoon, you will see the Tonle Sap Lake. Embark on a traditional wooden boat and depart from Chong Kneas to visit the Khmer fishing & floating villages. In the evening, you will have the chance to enjoy an energetic evening of theatre, dance, contortion and acrobatics, set to a musical score that transcends traditional and contemporary Cambodian music. After breakfast, you will be met and greeted by your IdeaIndochina representative in your hotel lobby to take you to a local pagoda where you will meet the resident monks and offer alms. This will be followed by a Buddhist blessing ceremony. Your guide will also take you on a tour of the pagoda. Afterwards, continue to Les Artisans D’Angkor, a complete visit of the arts and crafts school will take you through the various training and production workshops. Explore the Old Market (Phsar Chas), one of the most popular markets, which offer a grand selection of souvenirs, textiles, handicrafts, statues and curiosities. In the afternoon, enjoy the unique atmosphere during the “Sunset Over Angkor Thom”. You will be impressed with its magical old doors and artifacts. Enjoy your breakfast. Today you will be met and transferred to the airport to board your departing flight to Sihanoukville. Although tourism has increased over the past few years, the beaches of Sihanoukville are some of the most unspoiled in all of Southeast Asia. It is a prefect tropical getaway, filled with lovely beaches and facilities for swimming, snorkeling, scuba diving or just sunbathing. Upon arrival at Sihanoukville Airport, you will be met and transferred to speedboat for departure to Koh Rong Island or Koh Russey Island. You will be welcomed and transferred to your resort. Enjoy your breakfast. Day at leisure to relax on the beach. Enjoy your breakfast. Today you will be picked up & transferred to the airport for your departure.